How Vertigo nearly became Cry from the Rooftop. New podcast: Why I Really Like This Book. University of Ghent professor Kate Macdonald, author of the John Buchan companion that I edited, has started Why I Really Like This Book, a podcast that highlights neglected works. Two recent episodes focus on thriller author Dornford Yates (whose work has been reprinted by House of Stratus) and Erskine Childers's Haycraft-Queen Cornerstone work The Riddle of the Sands (new edition available from Penguin; Macdonald introduced an earlier edition). Cartoonist and playwright Jules Feiffer was born today in Bronx, NY, in 1929. His play The White House Murder Case (the First Lady is murdered against a backdrop of an unpopular war—read Vietnam) has been produced in San Jose and Chicago. Arlington, VA's American Century Theatre is staging Feiffer's dark comedy Little Murders through February 11, which deals with the violence surrounding a dysfunctional family. 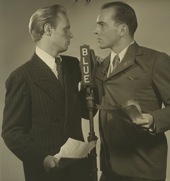 Inner Sanctum debuts, January 1941.
physical on the Blue Network. The Museum of Broadcast Communications notes that this month in 1941, the radio program Inner Sanctum (with a signature squeaking-door opening) debuted on the Blue Network (later ABC) with "The Amazing Death of Mrs. Putnam." The producer was Himan Brown, who went on to produce the CBS Radio Mystery Theatre and numerous other series. Several episodes of Inner Sanctum can be downloaded from the Internet Archive, including "Make Ready My Grave" starring Richard Widmark. 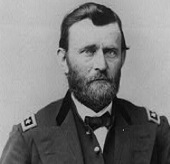 In this podcast, the Spy Museum's Mark Stout talks to William Feis, author of Grant's Secret Service: The Intelligence War from Belmont to Appomattox. What might have been: Collins and Drood. The Wilkie Collins Society has issued Addenda and Corrigenda 7, a selection of previously unpublished or hard-to-find letters, including one that confirms that Collins was asked to complete The Mystery of Edwin Drood after the death of his friend Charles Dickens and another that records Collins's reaction to Robert Louis Stevenson's The Strange Case of Dr. Jekyll and Mr. Hyde. The publication is available free to society members and for a modest £5 (approx. US$8) to nonmembers, which can be paid via PayPal; contact Paul Lewis for details. Chandler to Hitchcock, Strangers on a Train. In time for today's birthday of Patricia Highsmith: Letters of Note features a stormy letter from Raymond Chandler to Alfred Hitchcock regarding Chandler's screenplay of Strangers on a Train. Chesterton, Greene, et al: Bloomsbury auction results. • Strand magazine vols 1–16, 1891–98, which contain the Adventures and Memoirs of Sherlock Holmes (illust. Sidney Paget): £100 (approx. US$153). • E. C. Bentley, Trent's Last Case (1913), with G. K. Chesterton's The Wisdom of Father Brown (1914) and some Agatha Christie works, £110 (approx. US$168). • Raymond Chandler, 1st English ed. of The Big Sleep (1939), £260 (approx. US$400). • G. K. Chesterton, 1st ed. of The Man Who Was Thursday (1908), £60 (approx. US$92). • Graham Greene, 1st ed. of The Third Man and The Fallen Idol (1950), £240 (approx. US$368). Ngaio Marsh this week on BBC Radio 4 Extra. A lethal country house party requires Inspector Alleyn's investigation in Ngaio Marsh's A Man Lay Dead (1934), which airs this week on BBC Radio 4 Extra. Go here for the schedule or to listen; episodes usually may be heard online for up to a week after broadcast. The first episode of Hill Street Blues, "Hill Street Station," debuted today in 1981. Although the Museum of Broadcast Communications credits it with affecting every TV cop show ever since, sharp-eyed observers note more than a passing influence on the TV series of Ed McBain's 87th Precinct. 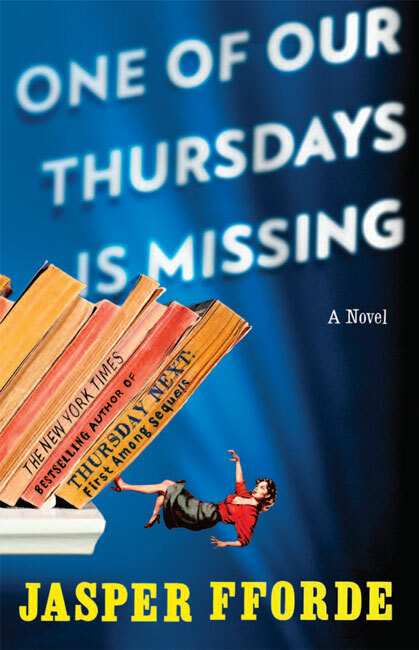 Jasper Fforde, author of the rollicking Thursday Next series (most recently One of Our Thursdays Is Missing) and the nursery crime series (The Fourth Bear, etc.) turns 50 today. Joyce Porter on BBC Radio 4 Extra. The untidy Inspector Wilfred Dover of British mystery writer Joyce Porter is featured this week on BBC Radio 4 Extra. Go here for the schedule or to listen online; episodes generally may be heard for up to a week after broadcast. Several of Porter's mysteries have been reprinted (introduction to the Dover short story collection by Robert Barnard). in "A Scandal in Bohemia"
There's an interesting discussion by Constance Crompton of Irene Adler's cross-dressing in "A Scandal in Bohemia" in the new issue of Nineteenth-Century Gender Studies. 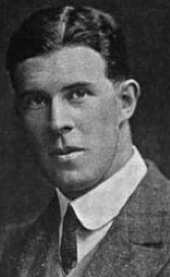 Neglected Books on Christopher Morley. 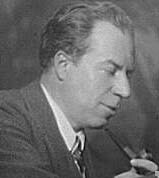 The Neglected Books blog discusses Christopher Morley's Human Being (1932). Morley, instrumental in the founding of the Baker Street Irregulars, is best known for Kitty Foyle (1939), but I've enjoyed his novels featuring a bookseller, Parnassus on Wheels (1917) and The Haunted Bookshop (1919), as well as his essays (collected in various volumes such as Pipefuls, 1920) and his sense of humor (such as his spoof of Henry James). "We had been talking at dinner of the extraordinary number of grievous deaths of well-known authors that had happened that year. . . . [T]here was Dunraven Bleak, the humorous essayist, who was found stark (in both senses) in his bathtub; and Cynthia Carboy, the famous writer of bedtime stories, who fell down the elevator shaft. . . . [T]he detective bureau insisted that in some unexplainable manner she must have fallen up the shaft; but as Dulcet pointed out at the time of the Authors' League inquiry, the body might have been carried upstairs after the accident. Then there was Andrew Baffle, the psychological novelist, whose end was peculiarly atrocious and miserable, because it seemed that he had contracted tetanus from handling a typewriter ribbon that showed signs of having been poisoned. "—Christopher Morley, "The Curious Case of Kenelm Digby," Tales from a Rolltop Desk (1921). 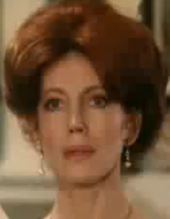 Elisabeth Saxnay Holding in ebook format. Persephone Books has an ebook version available of Elisabeth Sanxay Holding's The Blank Wall (1947); print edition also available. This book by Holding—a favorite author of Chandler—features a woman who finds herself under suspicion in the death of her daughter's boyfriend.